"It was free and I got a quick response!" and provided solutions as well!" "Clear, specific, relevant and accurate!" "No other provider would give free and accurate advice!" of experience and understanding in these matters." The Hong Kong Immigration Department – What an Efficient Organisation They Really Are! 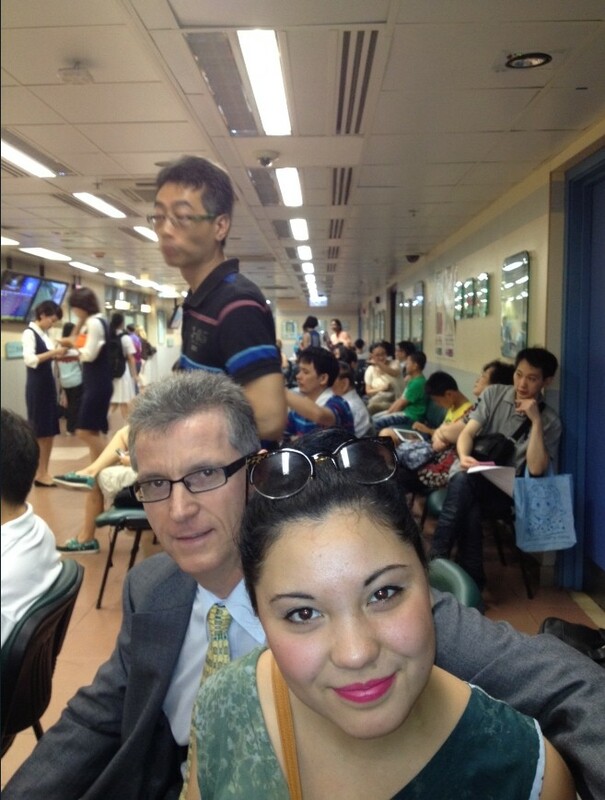 It’s not often that I am required to physically present myself at the Hong Kong Immigration Department these days. My staff usually take care of the administrative aspects of the Hong Kong Visa Centre case load and I have not been in to see the operations of the HKID myself for a couple of years now (at least). If a particular case calls for a personal interview of an applicant by the HKID, then I always accompany the client; but mostly these interviews, rare as they are, occur on floors not often visited by the hoi polloi so I never get to see what’s really happening around the place. So when my daughter, Sayana, arrived here with me earlier this week to spend some time having fun with her Hong Kong mates, I jumped at the opportunity to go along with her to Immigration Tower to experience how she had her HKID card issued to her. What a surprise. I can say that the process was really very good – for a routine administrative exercise. Waiting was kept to a minimum, the staff were friendly and obviously enjoyed their work. We were in an out in about 40 minutes and there didn’t seem to be too many numbers ahead of ours at any stage in the process. And we were just walk in punters, pitching up without an appointment. 1 – Report to Reception – hand in your completed application form. The lady will smile at you as though this is the first time she has ever done this process before and just can’t wait to get started. 2 – Receive a Number – sit and wait for about 15 minutes. Then be directed to a booth where another nice lady will make ready to take your photo and fingerprint. If you’re with your offspring accompanying her through the formalities she will smile incessently at you both and make respectful comments about how you look alike and how well you look for your age. 3 – Go & Wait for Interview - until your number is called again. Not too crowded and only 4 people ahead of us in the line. 10 minutes all up. 4 – Meet the Immigration Officer – in the flesh, real life. Quick scan through the passports to ensure eligibility is maintained, print out of the temporary ID along with complementary photocopy provided as part of the service (“just in case you lose it”) and that was that. I’ve done lots of personal immigration stuff in Australia before and I can honestly say Hong Kong beats my adopted country hands down when it comes to customer service, value for money and efficiency of process. While Australia merely talks of an improved service experience for Australian Immigration service-users, Hong Kong is already delivering it day in, day out. Good stuff guys. You should be applauded. Keep up the great work.